It’s worth noting that logos can evolve with a brand. Even the most recognizable logos of our times have undergone changes, some subtle and some dramatic. The key is that the logo has held on to something of its original essence over time. Check out the evolution of the Coca-Cola logo below (source). If you do choose to buy your logo, you will have to give them your contact information, including phone number. In the fine print, it gives LogoGarden and its affiliates the right to use “automatic telephone dialing system or pre-recorded call” to contact you about more services they offer. It says you don’t have to give consent to this, but there’s also no opt-out option on the purchase form. You have to opt-out later. FreshBooks makes it easy for you to create invoices both you and your clients will love. You can customize each one effortlessly right from the Invoices page. Click here to learn how. LogoYes – Allows you to design a logo for free and download a high-resolution version for $0.99. Also signs you up for their website building services, which are free for the first year, and $9.95 per month thereafter. You can cancel before the year is up to avoid additional charges. LogoMaker – Allows you to design a logo and use it on your website for free using their HTML code. Logos for use on business cards and other materials are $49 each. DesignMantic – Allows you to design a logo for free and download a high-resolution version for $29. LogoTypeMaker – Allows you to design a logo for free and download a high-resolution version for $25. Logojoy – With 3 packages ranging from $20 to $165, Logojoy empowers everyone to get professional quality design without any fuss. 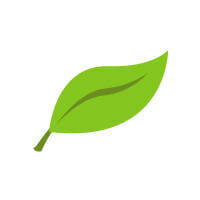 VistaPrint Logo Maker – Allows you to design a free logo to use with their business products. Tweak.com – Allows you to design a logo for free and download different resolutions starting at €4.95. Zillion Designs – Allows you to design a logo for free and download EPS, JPG, and PNG for free in exchange for mentioning Zillion Designs on your blog or website. 99Designs – Get a custom logo from a professional designer. It’s a contest site for designers, meaning you’ll have dozens of logos to choose from for just $299. Logo Genie – A simple tool dedicated to make logo designing as simple as possible. Online Logo Maker – They claim to be the coolest logo maker available. A lightweight, functional tool with a clean interface. Free Logo Services – Design a logo in minutes, then download the file for $39.95. But you only have to pay if you like the outcome. YouiDraw – If you know a bit about design, you can use their app to build a high-quality vector without investing in expensive software. Logaster – A freemium logo maker. You get a small logo for free, with the option to download a large file for just $9.99. Hipster Logo Generator – A fun little generator for businesses wanting to stay hip. Logo Factory Web – Simple logo creator tool that is 100% free to use. LogoEase – You get the option to download their software or use their custom logo design services, whichever works best for your budget. TextCraft – Create an 8-bit logo for your business. WithOomph – Get a great looking logo starting at $30. Also has the option to purchase full social media branding. LogoWorks – A service from the tech giant HP. A strong option if you have a couple hundred dollars to invest. Designhill Logo Maker – An amazing, free online logo generator for your business. This tool gives the access to browse through thousands of icons which have been created by expert designers and then customize the design to create your own logo.